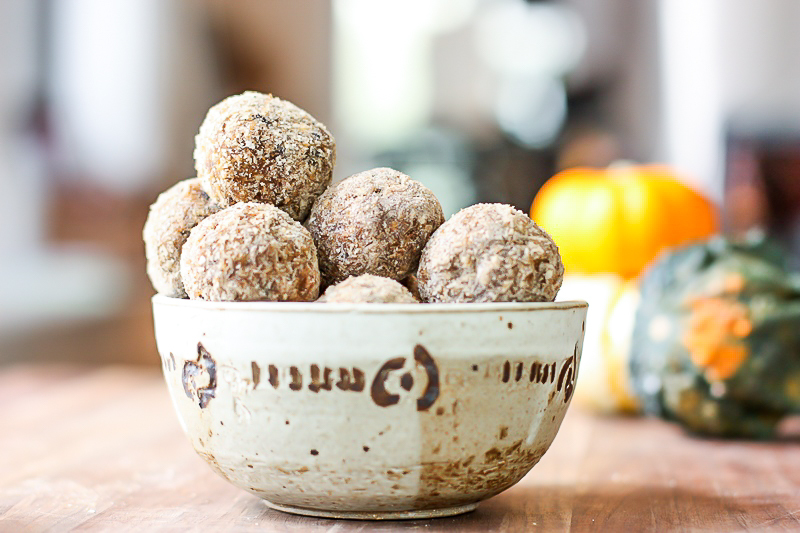 Crispy no bake, fall-inspired energy balls bursting with pumpkin, peanut butter and just a hint of chocolate. The perfect mid-day snack! 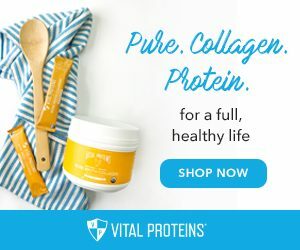 I love a good no-bake bite so I was pretty psyched this month’s Recipe Redux challenge was to create a healthy recipe using nuts and nut butters in honor of National Nut Day. Yes, October 22nd is National Nut Day…who knew? I certainly don’t need a special holiday to cook with nuts and nut butters, that’s for sure. They are a staple in my diet! How Many Nuts Are Too Many? I get asked a lot about how many nuts to eat and how many are too much. It’s a valid question. My standard advice is that nuts do well as condiments. Sprinkling nuts onto salads or to finish off a dish is a great strategy. If you want to enjoy nuts or nut butters in larger quantities, it’s all about the pairing. It’s important to balance out your calories. Nuts do contain protein, but they also contain quite a bit fat. Don’t get me wrong, I’m not a fat phobe. The problem is that fat alone just doesn’t satisfy. 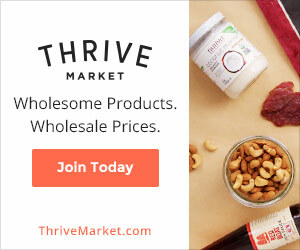 If I’m having nuts or nut butter as an afternoon snack, I always pair it with a high fiber option, preferably produce. Nut butters are great with sliced apples or spread onto celery. 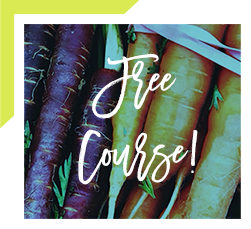 A handful of sliced almonds or chopped pistachios go well sprinkled on leftover roasted vegetables. 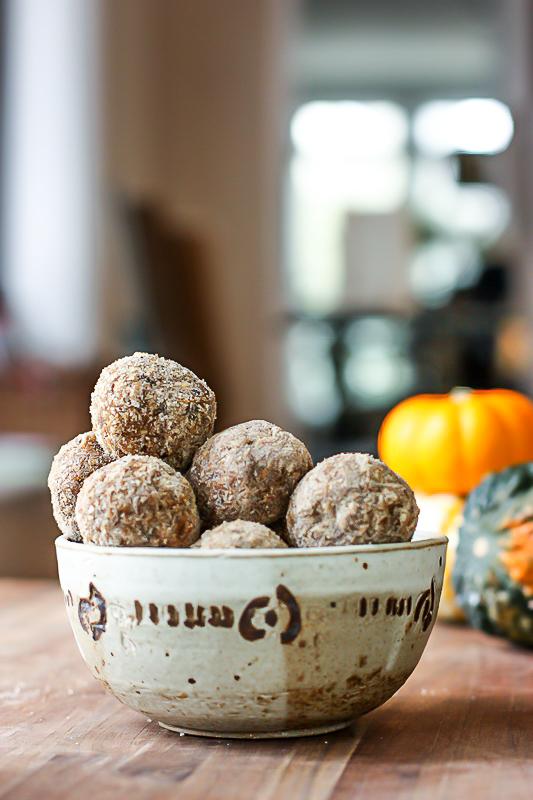 For an on-the-go snack try these amazing No Bake Pumpkin Peanut Butter Balls. A Lara bar, Clif Mojo bar, or Kind bar are other energy bar options. These nut options are balanced and rounded out with other ingredients. The idea is not to just mindlessly eat nuts straight from the bag. That is a recipe for overeating! I love to make my own Lara bar-inspired bites because I can control the ingredients. I think Lara bars are pretty simple and I like a more complex flavor. I’m not much of a baker so I don’t work with canned pumpkin often. It’s actually a lot more bland than I thought. 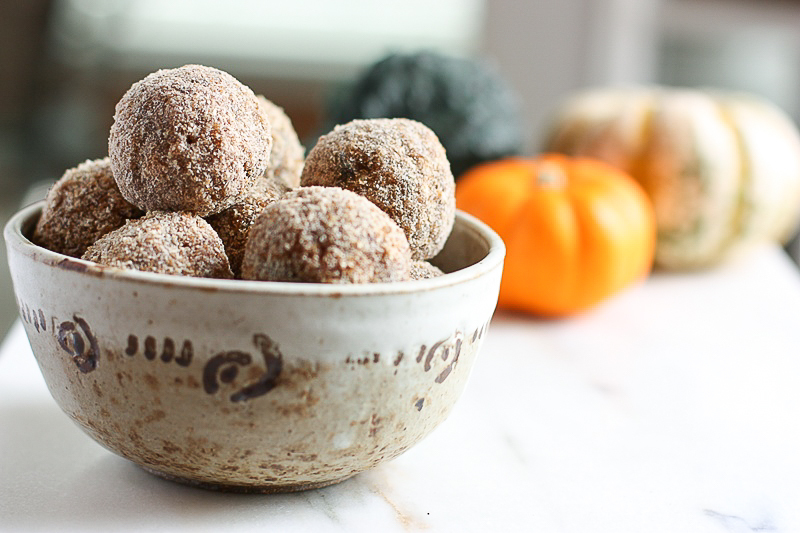 There’s definitely a hint of pumpkin in these balls, but the main flavor is peanut butter. This doesn’t bother me at all because I could live off of peanut butter. When you make them yourself you can play around with the ratios to get the flavor profile that you prefer. Another fun add-in I used was Rice Krispies. I had some left over from who know’s what and thought I would throw them in instead of using oats. Yes, oats are a much healthier choice, but I was looking for a crispy, light texture to balance out the heaviness of the peanut butter. I think I succeeded! The balls are crispy and airy with a nice crunch! Make the coating first by pulsing the ingredients together until flour-like. Place in a small bowl and set aside. To the food processor add the dates, cashews, peanuts, and cocoa nibs together and blend well. Once pretty smooth and not too crunchy, add vanilla, pumpkin, peanut butter, and maple syrup. Once well combined, remove from food processor and place in a bowl. Stir in rice krispies. Roll mixture into balls and then coat the balls with the topping. Do this by just dropping each ball into the ball and coating. 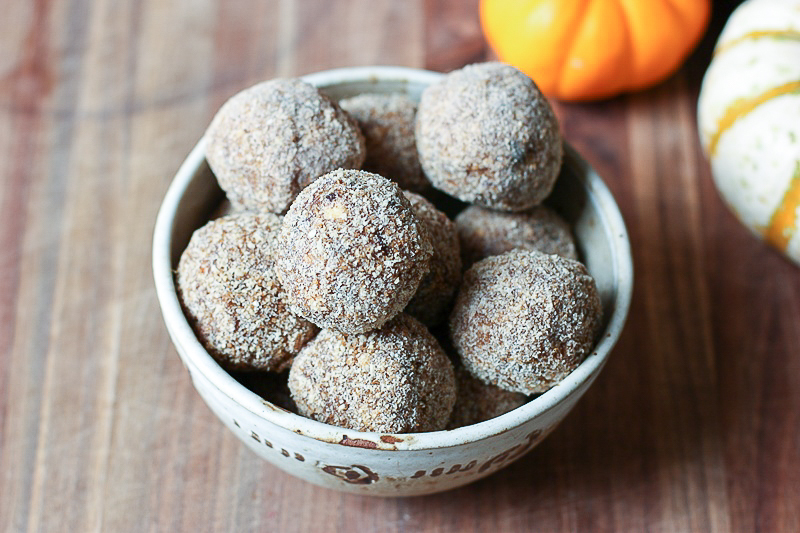 Crispy no-bake energy balls bursting with pumpkin, peanut butter and a hint of chocolate. yum… i love a good ol’ no bake ball too. 🙂 and that bowl is super cool. Yum! Great minds think alike 🙂 Love your No-Bake Pumpkin Peanut Butter Balls & bet my kids will love them too!! 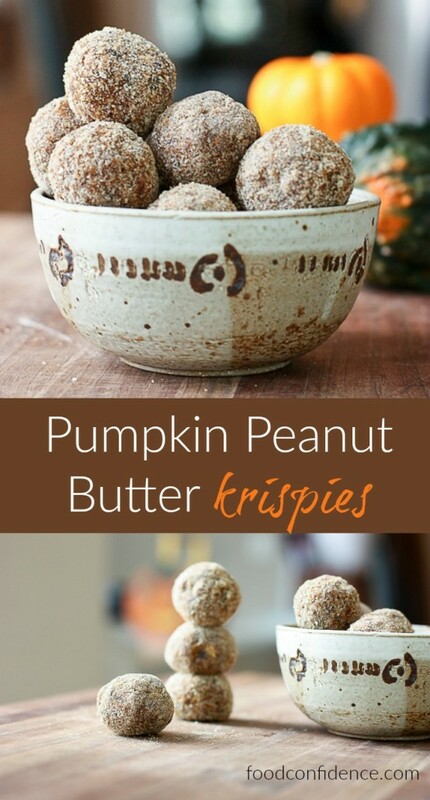 I’ve never thought to combine pumpkin with peanut butter, but I am totally loving this idea! 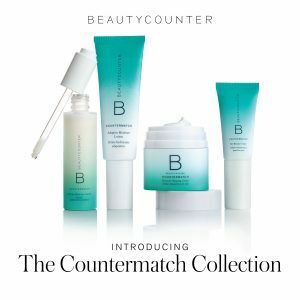 And that coating – YUM! love the addition of rice krispies for crunch – so fun! and yes, canned pumpkin is very mild, which I think is great so i can add my own flavor! This recipe is genius! I love the pumpkin and peanut butter combo as well as the addition of the rice kris pies! Such a great idea to add rice krispies for crunch! And cacao nibs—YUM! I am ALL about pumpkin these days so these are definitely going on my All Things Pumpkin Pinterest Board! Just from seeing the recipe image makes me want to drool and cook that mouthwatering snacks right away! Will definitely try this when I’m home!